India, the world’s second largest consumer of coal and the fourth largest emitter of carbon dioxide, accounts for 7% of global emissions and continues to subsidise the loss-making, polluting coal industry. Burning of fossil fuels, such as coal, is the largest source of greenhouse gas emissions warming up the planet. Subsidies for oil and gas decreased from Rs 1.5 lakh crore ($21 billion) in 2014 to Rs 36,900 crore ($5.1 billion) in 2017, while coal subsidies increased by 2%, from Rs 15,650 crore ($2.20 billion) to Rs 15,900 crore ($2.23 billion), according to the December 2018 IISD study. The biggest chunk of coal subsidies was on customs and excise duties, to reduce input costs for coal-fired power generation. In 2017, the coal industry received concessions worth Rs 7,523 crore ($1 billion) on customs duty on imports. The same year, the coal sector also received concessions on excise duty amounting to Rs 6,913 crore ($960 million). Together, these formed 91% (Rs 14,436 crore) of coal subsidies in 2017, said the IISD study. India’s demand for coal in financial year (FY) 2017-18 was 908 million tonnes (MT), but domestic production, at only 676 MT, fell short by 34%, according to the ministry of coal. 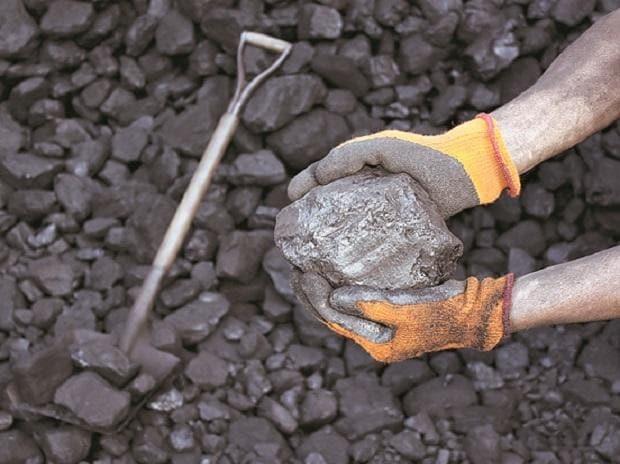 Despite these concessions and high demand, investors have seen their holdings in key Indian coal-mining and coal-based power companies underperform the Bombay Stock Exchange’s Sensex by an average of 10% a year since 2013, costing Rs 25,000 crore ($3.5 billion) in forgone returns, according to a December study by the non-governmental environmental organisation Greenpeace. While abolishing concessional custom duty rates increased the price of coal imports in 2018, the introduction of a new concession of 5% on the sales tax rate for coal under the GST nearly offset the difference, said the report. The concession under GST provided subsidies to coal worth Rs 12,122 crore ($1.7 billion) in 2018–84% of the subsidies received by coal in 2017 under former customs and excise duty rates, as per the IISD study. While this represents a decrease, it reflects only a part of the actual subsidies received by the coal industry. Electricity transmission and distribution (T&D) is the largest single recipient of energy subsidies in India, receiving concessions worth Rs 83,313 crore ($11.7 billion) in 2017. Though India is making efforts to turn its electricity grid greener, with 20% of T&D based on renewable sources, T&D continues to largely support coal-fired electricity in India, with 60% based on coal sources. About 60% of the subsidies T&D receives are thus effectively coal subsidies, as per the IISD study. IISD, however, has not included T&D subsidies in calculating the total coal subsidies in 2017. Not least are further external costs associated with coal–air pollution and associated health problems, environmental problems and greenhouse gas emissions–listed by the IISD study. But although coal remains the source of about 60% of India’s electricity production, the sector is under stress. With higher costs than solar- or wind-based electricity production, and the burden of green taxes, it is beset by financial difficulties. Poor coal supply, locations distant from coal sources, use of outdated equipment and lack of long-term power purchase agreements were cited as the main causes of financial stress in the coal sector by a parliament committee report. Since 2010, India has seen coal plant proposals worth 573 gigawatt (GW) cancelled or shelved–1.5 times the current total working capacity–according to a 2018 report by Global Coal Plant Tracker, the End Coal advocacy group’s global repository of information on coal. About 40 GW of coal-fired power projects are also stranded, with work yet to begin or curtailed due to financial unviability. Of this, 15.7 GW–or 39%–is not even commissioned, according to government data. Some of these projects had signed long-term agreements at low tariffs. A subsequent rise in the cost of coal-fired generation due to higher coal prices–particularly of coal imports–as well as the cost of freight charges for coal transportation made these projects financially unviable.